Wilder House is named in honor of William P. Wilder (MBA 1950), a prominent Canadian executive, and his support of the School. One of two buildings on the original HBS campus that were named for their functions, Wilder House opened in 1927 named the Student Club. Designed by McKim, Mead & White in the Georgian Revival-style, the three-story, stucco and brick building faces the lawn in front of the Baker Library | Bloomberg Center. Repurposed several times over the years, the facility provided offices for Executive Education and the Doctoral Programs until 1975, when it became home to what is today called MBA Career & Professional Development, which supports students to identify and pursue their career goals, as well as partners with global organizations throughout the year that are interested in hiring students for summer and full-time positions. 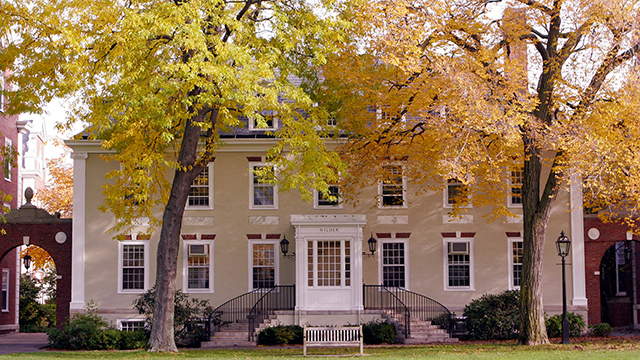 Wilder House is also home to the Global Experience Office, which administers the global immersion portion of the required first-year Field Immersion Experiences for Leadership Development (FIELD) course, where students travel abroad to work with selected organizations on a new product or service development project, primarily in emerging markets. A Toronto native, Wilder served in combat during World War II on loan to the Royal Navy and earned his undergraduate degree at McGill University before coming to HBS, where the legendary Professor Georges Doriot became a key career influence Wilder quickly worked his way up through the ranks of institutional sales and corporate finance at Wood Gundy & Company Ltd. He was named executive vice president in 1961 and president in 1967. In 1972 Wilder left investment banking to enter the world of politics and public policy. He was appointed chairman and chief executive officer of Canadian Arctic Gas, a consortium of twenty-six Canadian and U.S. oil and gas companies to build a trans-Canadian natural gas pipeline to markets in the east. The pipeline would secure its gas from the Mackenzie Delta and the north slope of Alaska. Although the project did not come to fruition, because the Canadian Government decided to delay development in Northern Canada for ten years, Wilder’s efforts won public and industry praise and he subsequently became president of Consumers Gas and then chairman. 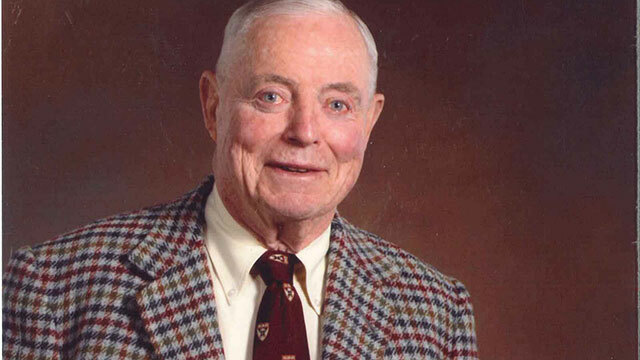 Wilder received the School’s highest honor, the Alumni Achievement Award, in 1994. At the dedication of the building that bears his name, Wilder stated simply, “Without HBS, I certainly would not have achieved so much in my career. The Business School was the making of me.” In return, Wilder created a path to the School for future generations of young Canadians by endowing the William P. Wilder (MBA 1950) Fellowship and by helping to spearhead the HBS Canadian Initiative, which provides financial assistance to admitted Canadian students.